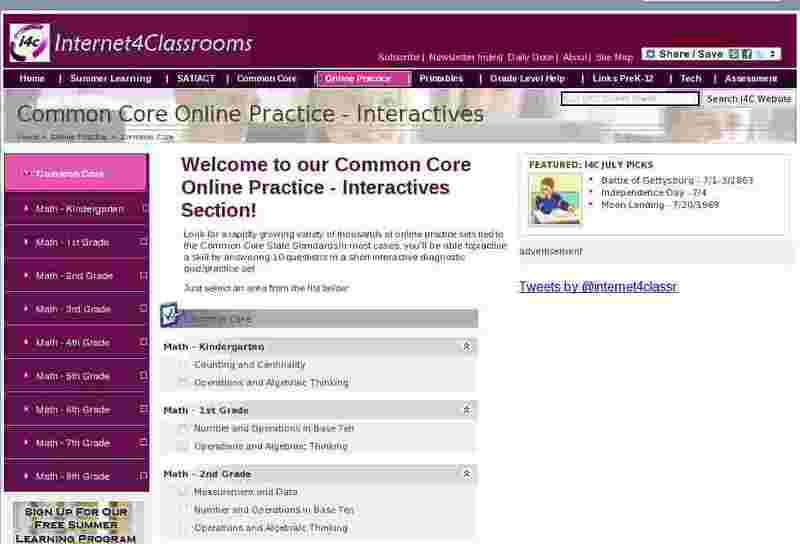 Welcome to our Common Core Online Practice - Interactives Section! Look for a rapidly growing variety of thousands of online practice sets tied to the Common Core State Standards. In most cases, you'll be able to practice a skill by answering 10 questions in a short interactive diagnostic quiz/practice set.